I revisited a post I wrote in 2016 that discussed one of Minnesota's infamous urban legends. Mary Jane Twilliger was a real human being, not a beheaded witch as the legend describes, who died young at age 17 from diphtheria. I wish I could pinpoint why and how her memory was spun off in this story, which has spurned frequent online searches to uncover any reasoning behind it. According to one result, the legend can potentially be traced to a man named James Sanford Peters, who had operated a mill. Anytime something went wrong at the mill, he’d blame the witches. What kept it growing remains unsubstantiated. Another result points to the proprietors of the Loon Lake Store. In the 1970s and 80s, alcohol was not sold in Iowa on Sundays. In order to boost sales and entice Iowans to cross state lines, they relied on the myth. “After all, it is best to confront a haunted area when fortified by spirits." I take issue with this assumption as well, since Minnesota also didn't sell alcohol on Sundays until just recently. It is also undetermined if May Jane Twilliger’s name is spelled is one ‘l’ or two. I keep seeing both. What I found most intriguing, and thus, inspiring today’s update, is the legend’s connection to the heavy metal band, Megadeth. Turns out, their song “Mary Jane” is not about marijuana as notably assumed, but rather – Mary Jane Twilliger. You see, founding member David Ellefson graduated from high school in Jackson, MN, and released the song in 1988 on the band’s ‘So Far, So Good … So What’ album. Prepare my friends to follow me. As I mentioned in my previous post, Twilliger’s tombstone is on display at a museum in Lakefield, MN to protect it from vandals. It appears this story is much more far-reaching than I had thought. 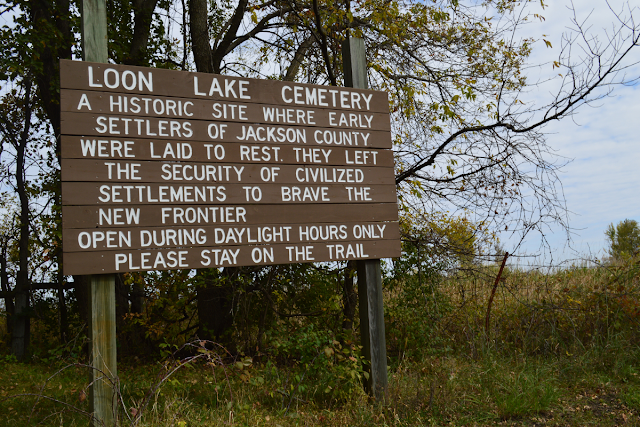 The Loon Lake Cemetery, where Twilliger’s family plots are, had its first recorded burial in 1821 and last in 1926. Unfortunately, as was the case with the Farmington Middle Creek Historic Cemetery, when the associated small country churches close, these cemeteries become abandoned, neglected and lost to time. It is a felony to destroy the property. That’s why Highland remains at the intersection of a busy thoroughfare, and Middle Creek stands within a modern subdivision. However, as properties change hands and farm equipment got bigger, maneuvering around headstones became difficult. There are reports of farmers simply piling headstones in a ditch to plow the land atop the graves. At one time, there were over 70 gravestones and markers standing in memorial. Today, there are less than 20. Finally, as nature reclaims the land, the neglect and abandonment likely contributed to the spookiness that propels the urban legend into the present. It’s important for us to remember that every person matters – that they had a life, a family who loved them, and have earned the right to be respected in death. Hopefully this particular urban legend has been laid to rest.